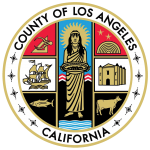 LOS ANGELES, CA—The Los Angeles County Board of Supervisors yesterday approved a historic Public/Private Partnership between the Los Angeles County Probation Department and two of the area’s leading grant-makers—the Liberty Hill Foundation and the California Community Foundation. This landmark collaboration will dramatically increase services and opportunities delivered by local community-based organizations to youth currently in the probation system and to at-risk youth to divert them from entering the County system altogether. With this new partnership, Los Angeles County will continue to be the nation’s leader for demonstrating how an effective community-based model focused on prevention and treatment not only decreases the number of youth incarcerated, but also improves chances for more youth to earn their high school diplomas, become gainfully employed, and decrease the likelihood of being incarcerated as an adult. The services made available via this collaboration will be provided within the youths’ own communities thus making it easier for the families to access. With a shared goal to provide youth rehabilitative programs centered on healing, learning, and opportunity, grantees will receive funding for their critical work advancing education, mental health, cultural and workforce programs. The grantees will also benefit from Liberty Hill’s proven track record of coalition-building, training, and support to build organizational capacity for growth and success. Grantees will develop capacity-building plans, and have access to individualized coaching and cohort-based trainings helping them to be more competitive for future funding. Community organizations that are interested in learning more about this partnership and how to join may email youthdevelopment@calfund.org. For more information on the Public/Private Partnership and Liberty Hill’s participation, please contact Courtney Kassel, Chief Communications Officer, at 323-556-7230. For more information on the Public/Private Partnership and California Community Foundation’s participation, please contact Roshin Mathew, Director of Communications, at 213-413-4130. For more information on the Public/Private Partnership and the Los Angeles County Probation Department’s participation, please contact Kerri Webb, Public Information Officer, at 562-315-3388.